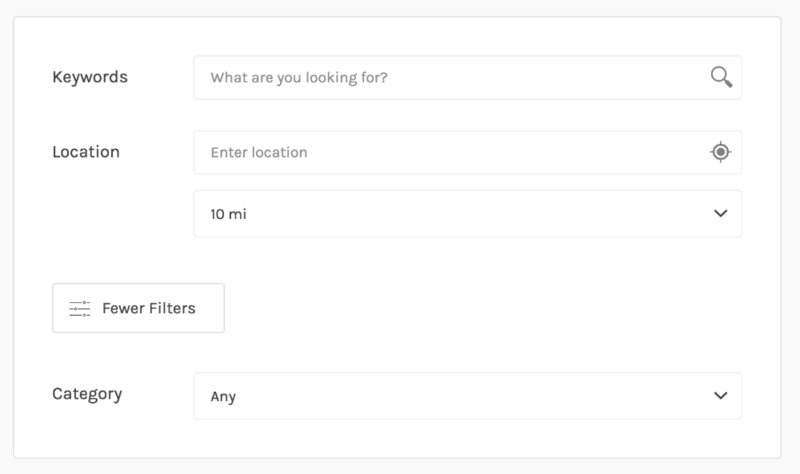 Facets are UI elements (checkboxes, dropdowns, etc.) used to filter, or “drill down”, content listings. Facets are aware of the content, and only relevant choices are displayed. Simply choose the facets and the order you want them to appear. Adding facets to the "Extra Results Page" section will add facets to a toggle-able hidden area that hides these facets by default. Choose different facets to appear on the homepage is a great way have a simplified homepage search, however you must include any facets that appear on the homepage on the Results page as well. 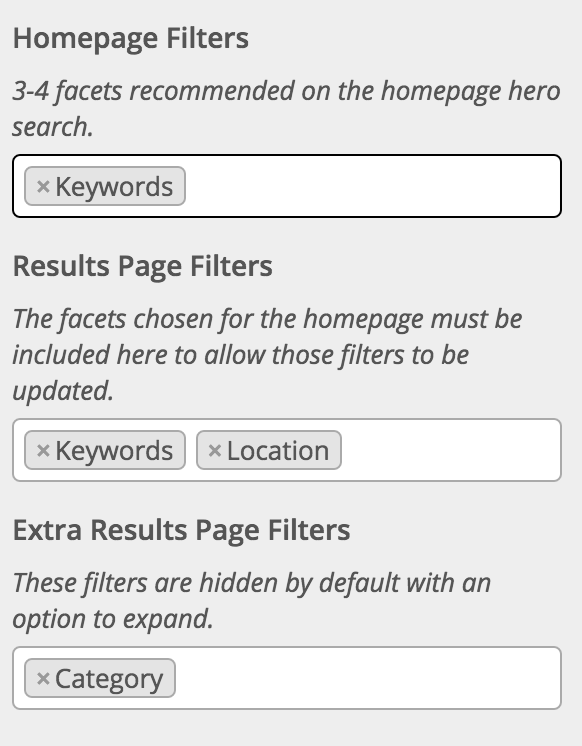 For example: if you include a "Keywords" input on the homepage only, you must include "Keywords" in the Results page or your search will not be valid.